We are a group of dedicated people, that are very passionate about the welfare and care of animals, no matter what the species! The love of animals has developed into a business that is successful online and in-store. 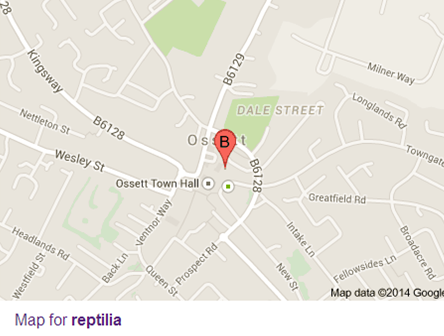 We are a one of a kind service as we are more than just your average reptile shop! We are dedicated to rescuing animals above all else, and have partnerships with a number of charities and educational programmes, as well as holding birthday parties, zoo keeper days and offering free aftercare services. NOW IT'S TIME TO MEET THE TEAM! Deb & Adrian are the owners of Reptilia & Reptilia Reptile rescue, without them, none of this would be possible! Deb has worked in the pet shop industry for over 10 years. In the past 7 years of Reptilia being open to the public, it has expanded almost every year with additions of new stock, new livestock and even new buildings! Reptilia started off as a specialist reptile shop but with the help of Adrian, who has a passion for birds and aquatics, Reptilia now stock Reptiles, Amphibians, Invertebrates, Rodents, Birds and Aquatics! Cassy is Reptilia's shop manager! Cassy has always had a passion for animals from a young age and has had her own collection of reptiles for over 8 years which has grown even more since working here at Reptilia. Cassy also has her level 3 diploma in animal management. She is a woman of many talents as she is the one that makes sure all the wonderful items we have for sale are always in stock as often as possible and if there is anything you would like for us to order in, Cassy would be the one to talk to! Jodie is one of our top animal technicians! As one of the animal keepers she always goes above and beyond for all animals here at Reptilia, she too has always loved animals and has her own gorgeous panther chameleon called Furb! Jodie is also one of the team members that will host the birthday parties if you ever decided to book one of these for your little ones! Jodie can be found, most of the time, on the shop floor (usually singing along to herself) if you need any advice, she is always happy to help! Rachael has always had a love for animals, which is shown in her ever growing collection of all kinds of pets from 3 tiny pooches to fish! She has worked in the pet shop industry for 8 years and has a fair bit of knowledge on general pet nutrition, if there is anything you need to know, she would be the lady to ask! Rachael has her qualifications in animal management and is also one of the team members you will find hosting the birthday parties on the weekend. Rachael can also be found, most of the time, on the shop floor, always willing to help wherever she can! Lily is one of our team members that works upstairs in our reptile rescue! She is always working tirelessly to ensure all the animals upstairs are well looked after, especially when they haven't had the best upbringing! Lily has always loved animals and had her first pet snake at the age of 11! Her collection has been growing ever since, including recently after adopting one of our giant African land snails and naming her Gail! Lily also has a Bachelors degree in zoology and also helps with the hosting of birthday parties! There is always a team member available to help if you need it. If you are struggling to find us, please feel free to give us a call and we will be more than happy to direct you the best we can!